Storage unit cleanout. Three little words which can easily discourage anyone who rents storage space. 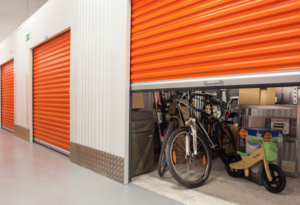 Now the lease is coming to an end (or you’re moving or just want to reduce your expenses), it’s time for a serious storage space cleanout. But, you’re not motivated and that’s completely understandable. It’s hard work and what’s more, you don’t even exactly know what’s inside. However, if you could put some money in your pocket, that might well be enough to get you in the mood. Price all the items. Next, you can put a price tag on each item you’re selling. Do a little research to find their values and then price them cheaply to get them to sell quickly. Advertise far and wide. When you’re ready, you can then advertise. Publish online ads and tack up signs nearby the facility. You can also spread the word through social media. Host your storage unit sale. Start the sale as early in the day as possible. When it’s down to the last few items, reduce the prices. Or, if necessary, give the rest away. When you’re done, you can offload any remaining junk by phoning 800-433-1094 or visit Junk Garbage Removal.